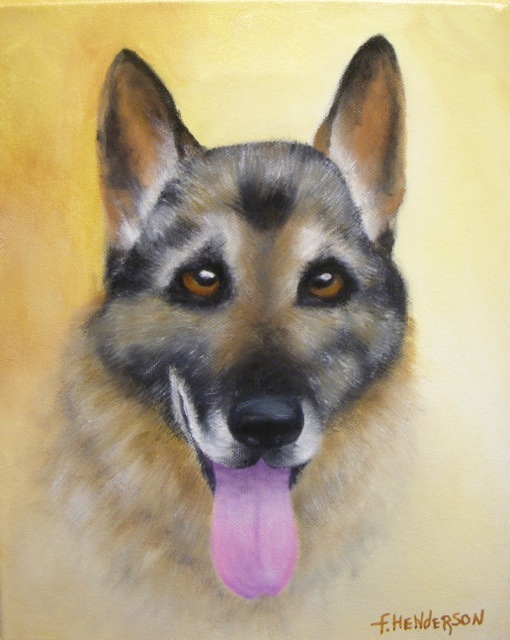 A police dog, often referred to in North America as a "K9" is a dog﻿ that is specifically trained to assist police and other law-enforcement personnel in their work, such as searching for drugs and explosives, searching for lost people, looking for crime scene evidence, and protecting their handlers. 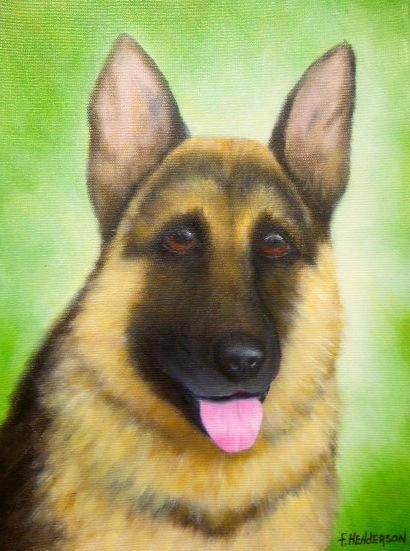 I am honored to paint and give these portraits as gifts to the officers who have handled, loved and lost their K9's. It is a small thank you gift for all they do to keep our communities safe. ​For 5 years Tasja worked with her handler and was credited with over 100 arrests, numerous evidence finds and located a serial arsonist. 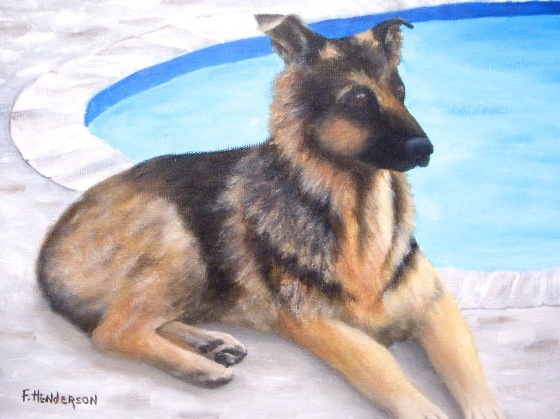 Tasja and her handler both retired in 2007. Her favorite past time was swimming. 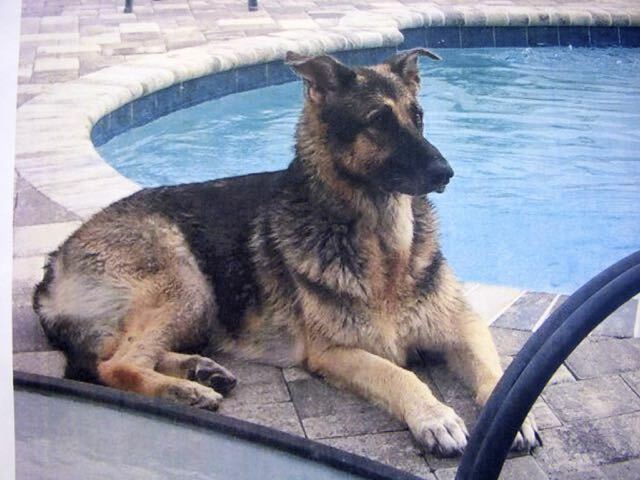 She lived as a member of her handlers family until she died in 2014. 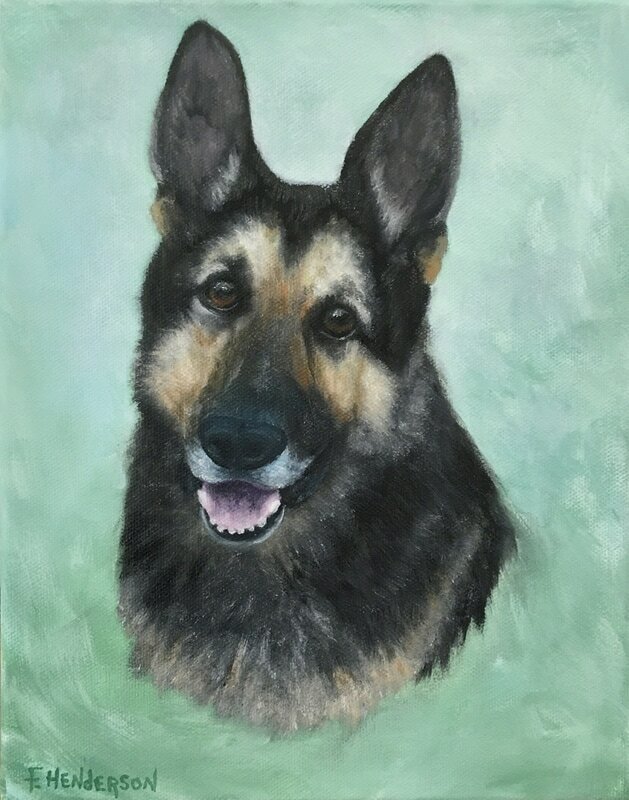 ​Blade served the Sheriff's office and his handler for many years. 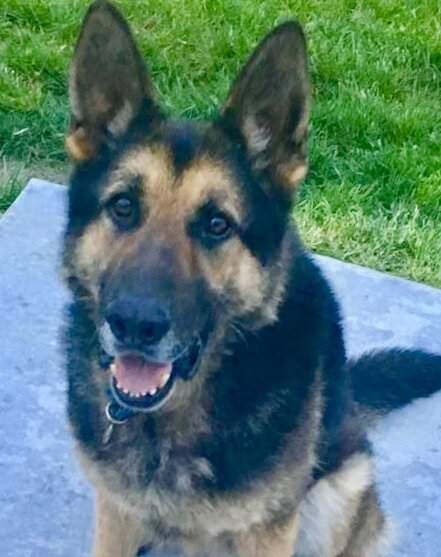 During his time of service he located hiding criminals, found lost children, recovered key evidence and helped protect his handler and other officers. Blade also participated in many canine demonstrations. 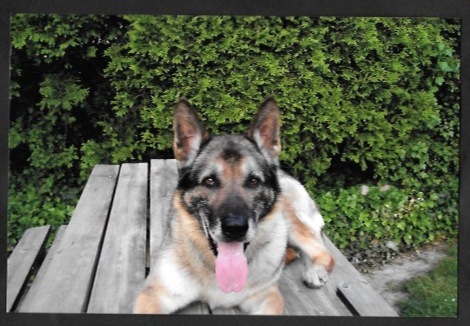 After Blade retired he remained a loving and beloved member of his handlers family until his death in 2007. Drigon's training consisted of tracking, narcotics obedience and apprehension. He made numerous drug finds and was used mainly in the jail at the County Courthouse. He was retired in June of 2007. He lived a long life as a member of his handlers family. He passed away in 2012.